"Wannabe wants to be..." is a personal little project and serie collection for children (3-7), that dreams of becoming big, and staying in the life of the little ones, growing next to them. Wannabe is a boy that, just like every other child, likes to imagine what he wants to be when he grows up. Adults always ask him about it, but since he hasn´t yet made up his mind, in the meantime he turns the question into a game and has fun with it. 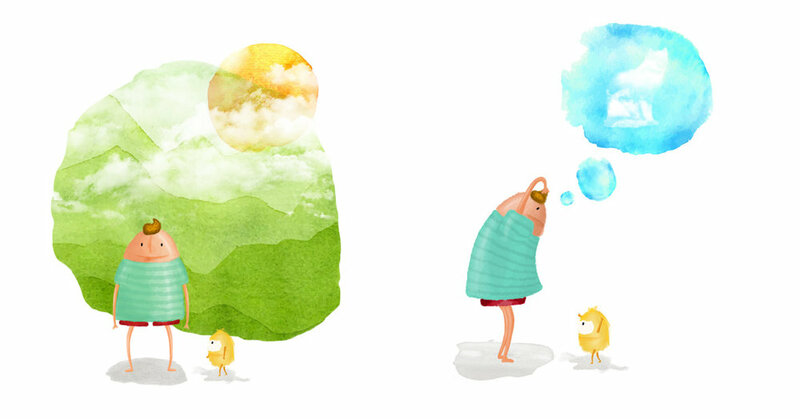 Sometimes he makes believe he´s an Ant Rescuer, others a Moonkeeper, and yet others a Cloud Sculptor, which leads him to experience some wild adventures, always in the company of his inseparable friend -and pet- Wannaboh. Wannabe´s purpose is none other than encouraging kids to let their imagination soar, and to pretend that they´re adults while still remaining children. You can find all Wannabe´s adventures in Amazon, for iPad/Kindle and also in paperback (english&spanish).